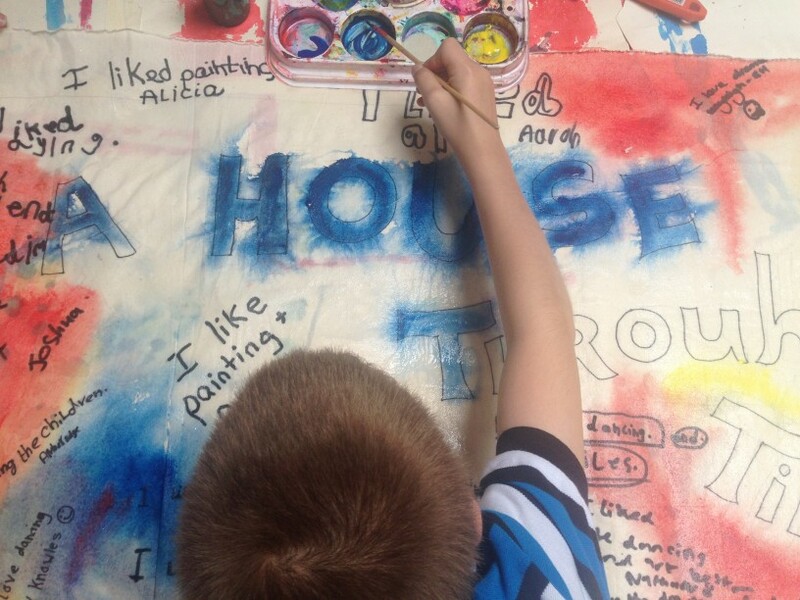 Stone Create was asked by Ladywood School, Bolton, to be involved with the ‘House Through Time’ transition project, for primary school children with special educational needs, who are starting secondary school in September 2015. The transition from primary to secondary school can be quite challenging for many young people and this project aimed to help and encourage children to make new friends with their soon to be new classmates. The project was in collaboration with The Octagon Theatre (Bolton), Z Arts (Manchester), Bolton Library and Museums Service, dancer Darren Pritchard and technical genius Marcel Lenormand (Guernsey). It was funded through Curious Minds, and The Arts Council, England. 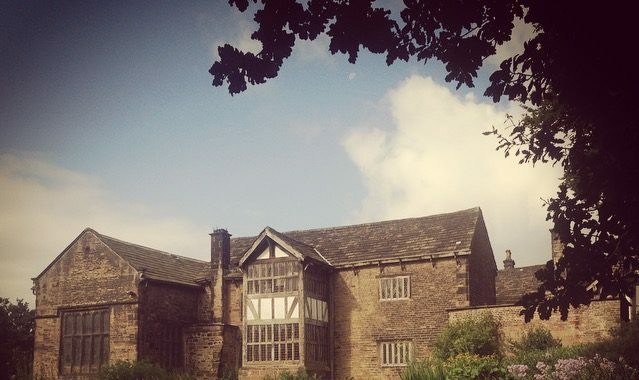 The setting for the whole week was Smithills Hall, Bolton, which is a Tudor House that provided much of the inspiration for the week. Children were given the opportunity to be involved in performance, dance (using kinect technologies), visual arts and also worked towards their Arts Award. 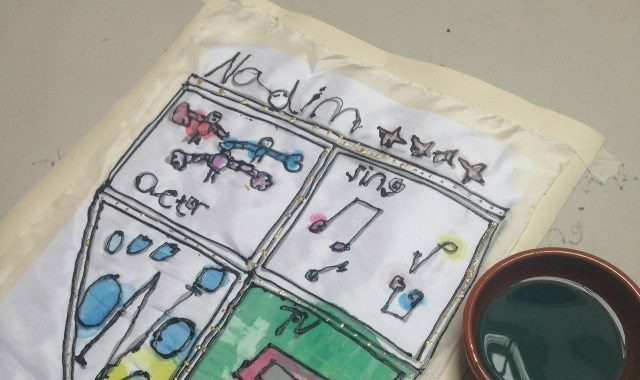 Stone Create worked with the children to create silk painted hangings based on their hopes and aspirations for the future. Wooden panelling and coats of arms within the Tudor hall, provided inspiration for the designs, and children were encouraged to visualise what they wanted to be when they grew up and their hopes for the future. The children did observational drawings in the hall, and then used gutta to outline their designs on to the silk. These were then painted with silk paints and finishing touches of glitter and sequins were added. 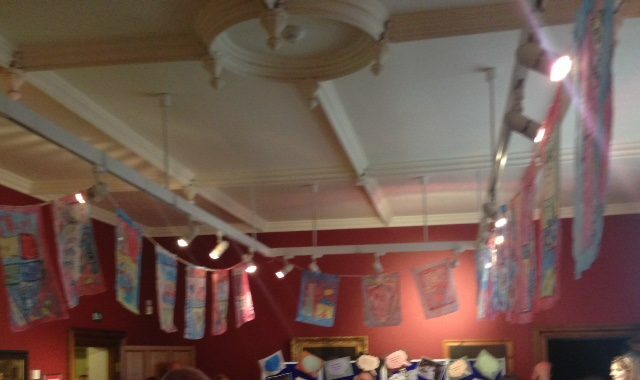 The banners were then strung from the ceiling for the final evening performance where all the work done during the week, (dance, performance, artwork), was shared with the families of the children. The feedback from both staff and children was incredibly positive. The children made new friends and are looking forward to starting secondary school in September and meeting up again. Stone Create was extremely proud to be part of the project.